a collection of 300 chess positions first compiled and published by Fred Reinfeld in 1958 . The tactical postions were taken from actual tournament play, contain scores of traps, sacrifices, mates, winning combinations, and subtle exchanges that will help sharpen players' eyes and test their skills against the masters, and were (or even are) a quite popular test set for chess engines as a sanity check . 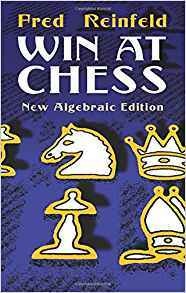 In 2001, WAC was revised by Fred Wilson  and converted into algebraic chess notation. This page was last edited on 31 May 2018, at 14:27.